Sometimes a simple court is all that’s required for perfect bridal shoes. 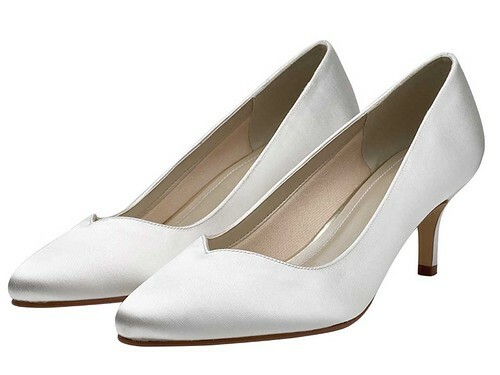 Ideal for modern brides, the Elizabeth shoe is incredibly chic and understated. Crafted from flawless ivory satin, these stylish shoes feature an almond toe, low heel and their defining feature is the curvaceous vintage-inspired sweetheart shape to the front. Simply beautiful.